One of my duties of being a mom that I love being responsible for is making dinner! This can be one of my favorite times of the day because my kids are home from school and this is a chance that we can sit down together as a family and talk about our day! 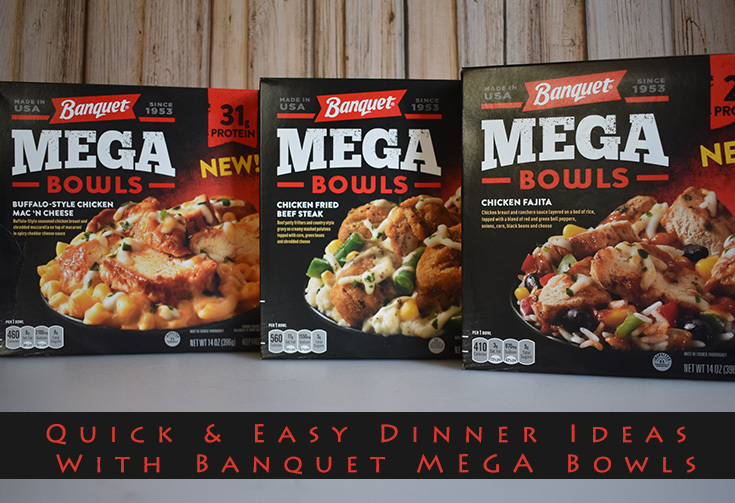 I love to cook but on busy evenings when I don’t have much time to spend in the kitchen I now can make a quick and easy dinner with the new Banquet MEGA Bowls! I have been stocking my freezer with meals from Banquet for years! 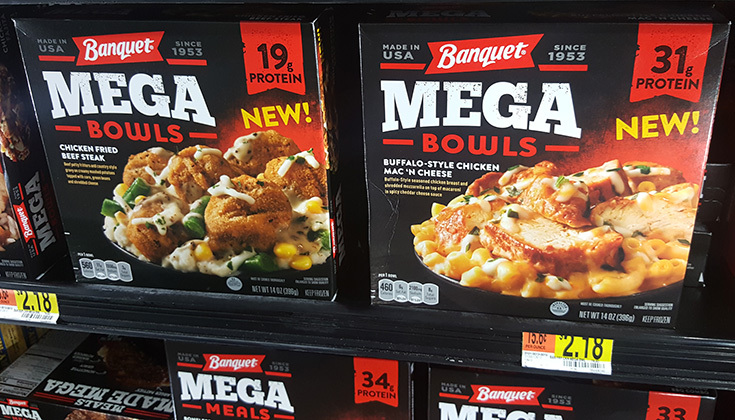 I am loving the NEW Banquet MEGA Bowls and think they are great to keep on hand for a quick dinner in a pinch. These new bowls are ready in under 10 minutes and offer a delicious and homemade taste that you’d make if you had the time! One of my family’s favorites would be the Chicken Fried Beef Steak MEGA Bowl! 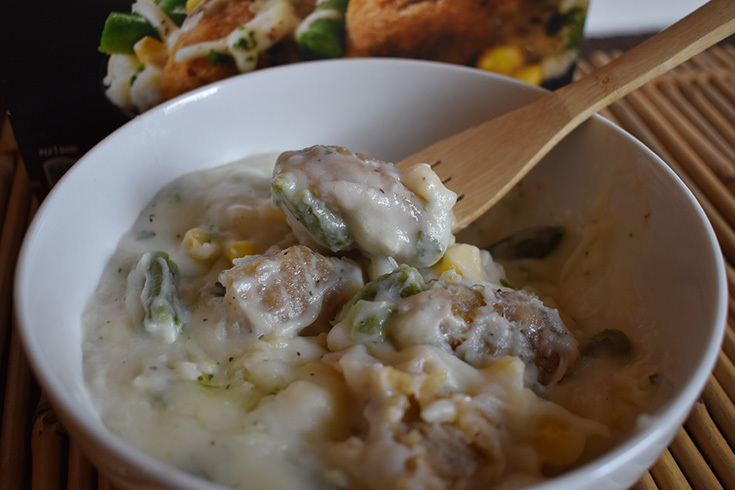 It has beef patty fritters with country style gravy, creamy mashed potatoes, corn, green beans and shredded mozzarella cheese. I like that it has 19 grams of protein and is a meal that my kids will eat with vegetables without any complaints. There are evenings when I want dinner with some spice so I like to have a variety of these bowls on hand. I bought some of the Banquet Chicken Fajita MEGA Bowls that have chicken breast with ranchero sauce, rice and a blend of peppers, onions, corn, black beans and cheese! 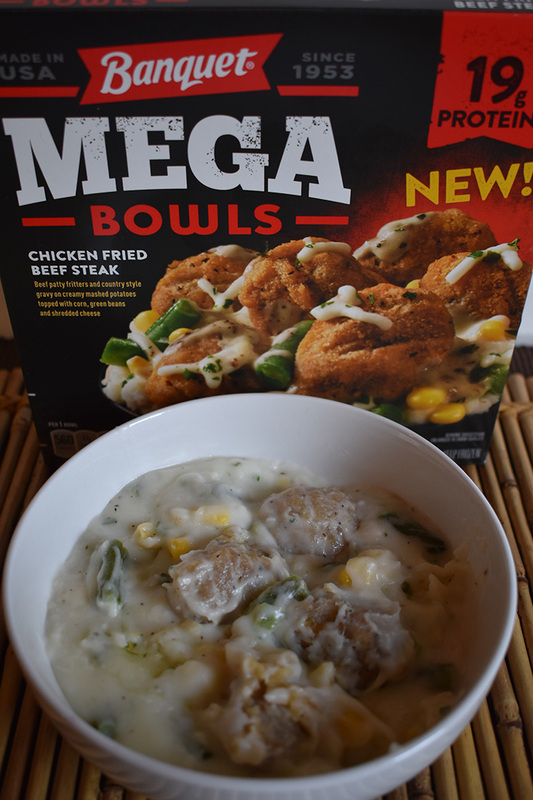 One thing is for sure with these new Banquet MEGA Bowls is the hearty portions you will find! We have tried a few of these bowls that I found at Walmart and they have all had big chunks of chicken that were full of flavor in every bite. 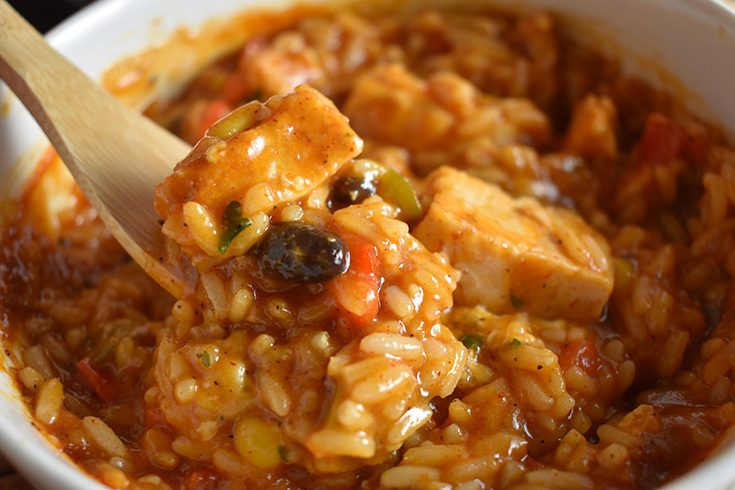 These meals are also a great for those looking for a meal with plenty of protein. 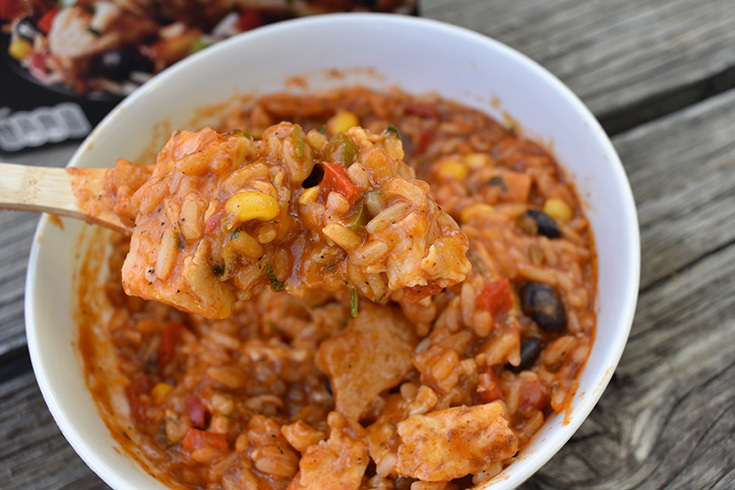 This Chicken Fajita MEGA Bowl has 23 grams of protein and perfect for one of those cold nights when you want a meal to warm you up! I am a FAN of these new meals by Banquet and made sure to stock up with these meals being so affordable! I found these bowls for only $2.18 at my local Walmart. You can also EARN $.50 off 1 Banquet MEGA Bowl or Banquet MEGA Bowl when you use the Ibotta app for even more savings. These are the perfect option for on-the-go families and a great way for moms like me to provide a warm meal in a pinch or maybe a quick meal for when the kids come home from school hangry. The Banquet Mega Bowls and Banquet Mega Meals leave you full without emptying your wallet!